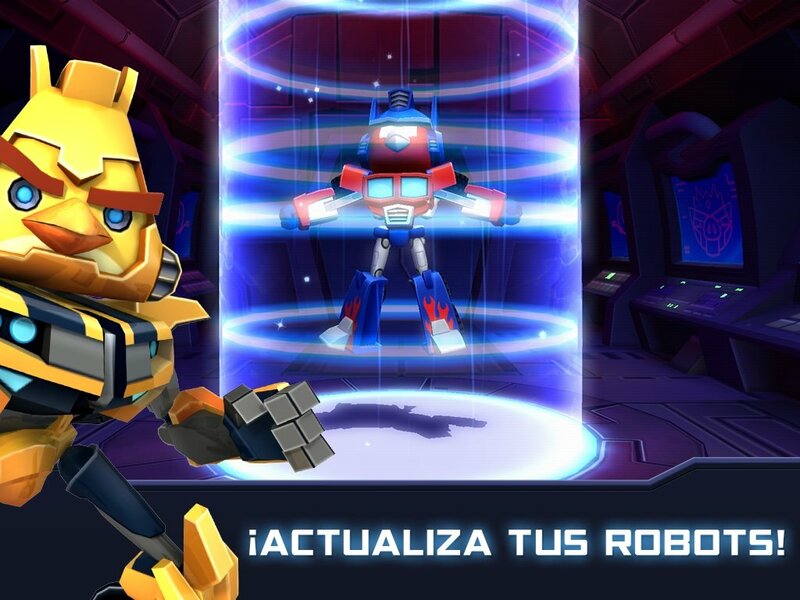 Piggy Island is at danger because hundreds of EggBots have taken the control led by EggSpark. 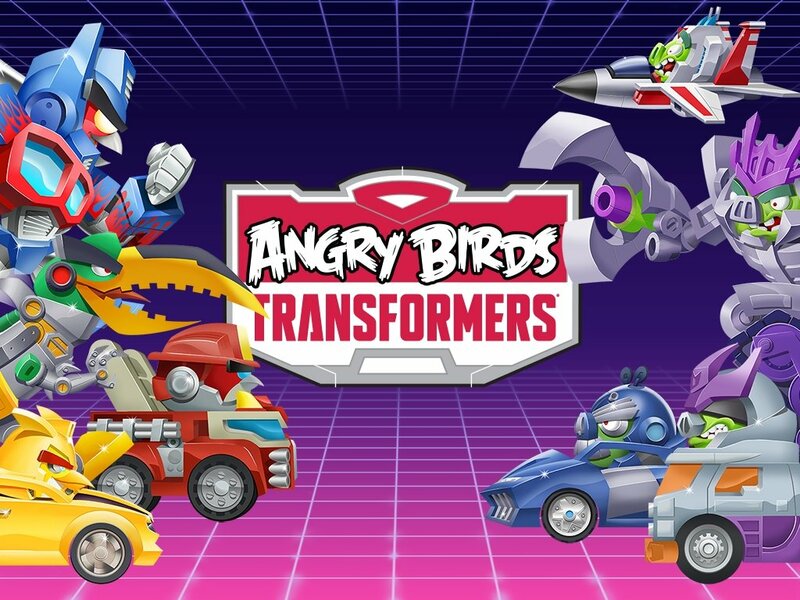 The island's future depends on the Autobirds, but they won't be able to defeat these robotic eggs without the help of the Deceptihogs. 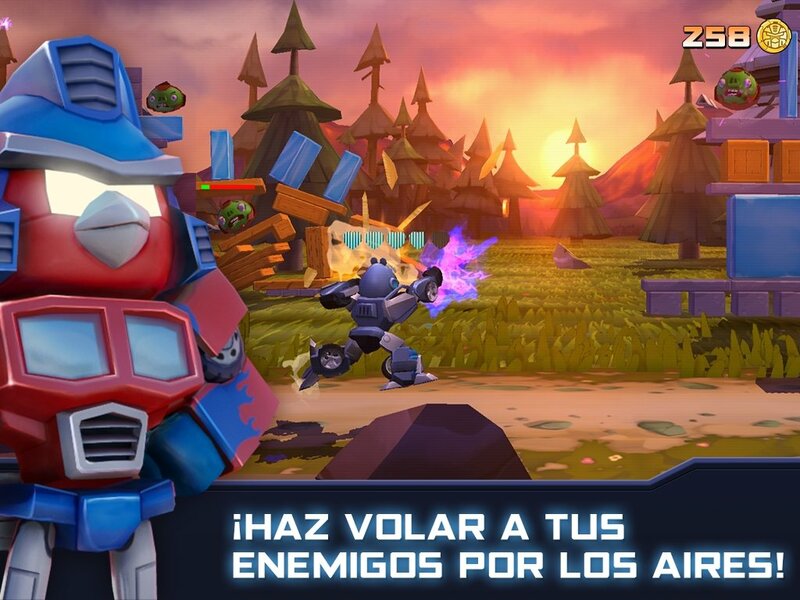 This is the plot of Angry Birds Transformers, the game that brings together two different concepts: Transformers and Angry Birds. Autobirds and Deceptihogs will have to settle their differences. Angry Birds Transformers breaks up with everything we had seen until now in Rovio's games, that always brought birds and pigs face to face, in a new shoot'em up format. The characters, both Autobirds and Deceptihogs, will acquire the skills of Transformers, therefore, as well as shooting at their enemies, they can transform into different vehicles depending on the situation. Unlock heroes and villains with unique skills and powers for each one of them. 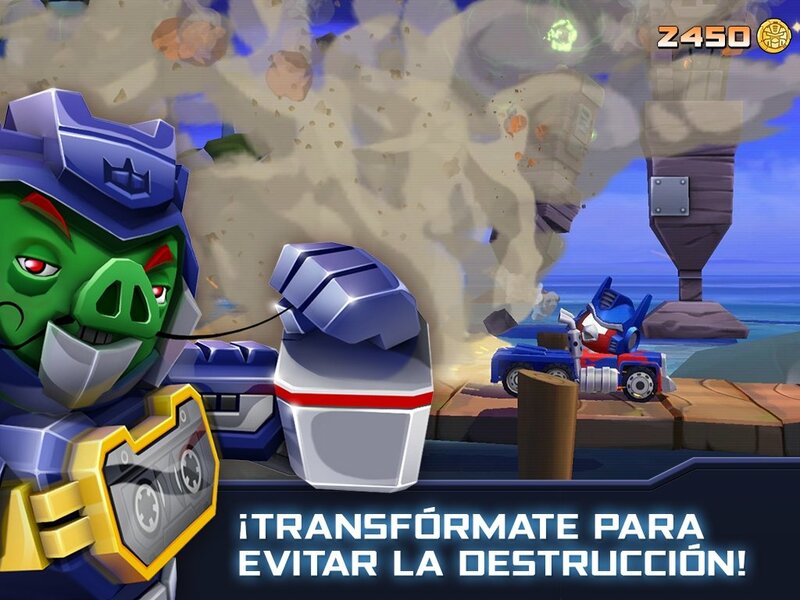 Transform your pig or bird into any kind of vehicle. Make use of powerful weapons. Improve the skills of each Transformer. 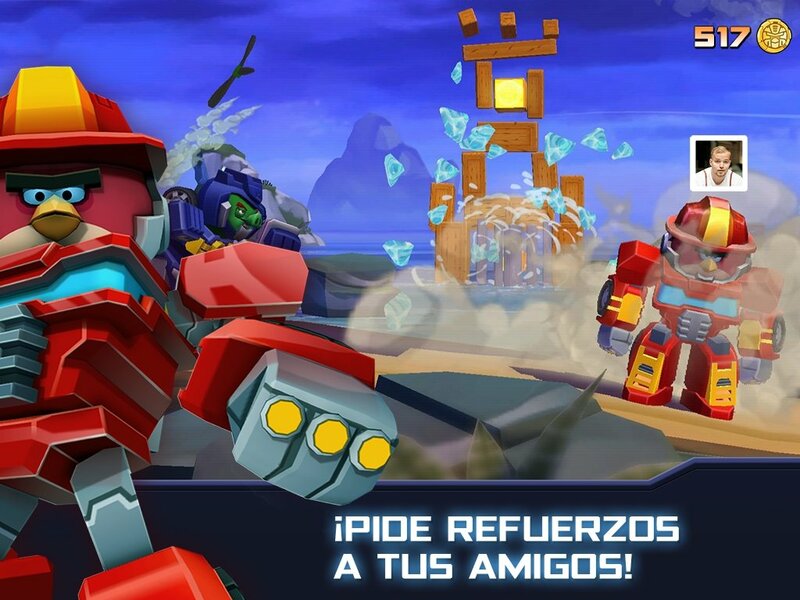 Fight with your friends in the same team. Get hold of Hasbro's Telepods to enhance or revive your robot. 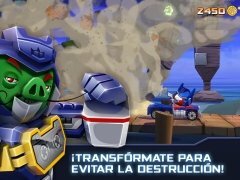 Help Autobirds and Deceptihogs to join forces in Angry Birds Transformers and protect Piggy Island from the attack of the EggBots.